Raised in Sacramento and now based in the UK, pianist Anyssa Neumann has been praised for the “clarity, charm, and equipoise” of her performances, which span solo and collaborative repertoire from the Baroque to the 21st century. In December 2010, she released her solo debut album of works by Bach, Beethoven, Messiaen, and Prokofiev, which was then featured on David Dubal’s radio program The Piano Matters in New York and Chicago. 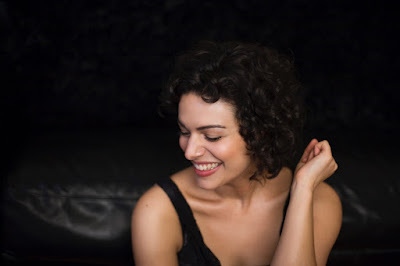 Anyssa has appeared extensively as soloist and collaborative pianist, with performances in the United States, Canada, England, Germany, France, Spain, Italy, and Sweden. Recent projects have included a recital tour of British Columbia, all-Bach recitals at The Banff Centre, the Sacramento Bach Festival, and London’s Blackheath Halls and St James Piccadilly, recitals with soprano Emma Tring and bass-baritone Timothy Dickinson, a concert tour of England with American soprano Rena Harms, and duo recitals with Canadian violinist Yolanda Bruno at London’s St Martin-in-the-Fields and Toronto’s Mazzoleni Hall. Anyssa has appeared as recital partner with Grammy Award-winning cellist Sara Sant’Ambrogio of the Eroica Trio, as guest pianist with the Sheba Ensemble, and on NPR’s Performance Today and Sirius Satellite Radio. A graduate of the Manhattan School of Music and Oxford University, Anyssa continued advanced studies with Fabio Bidini in Berlin and Paul Stewart at Université de Montréal, and has participated in master classes with Thomas Adès and Rita Wagner at IMS Prussia Cove. In January 2017, she completed a PhD in musicology at King’s College London as a recipient of the King’s Overseas Research Studentship, focusing on pre-existing music in the films of Ingmar Bergman.